With beer and lots of disco music! P1000489, originally uploaded by Mic2006. “It was still high in the mountains and from the viewing platform I could see the hills disappearing into the haze. Behind us there was a field and then limestone cliffs. 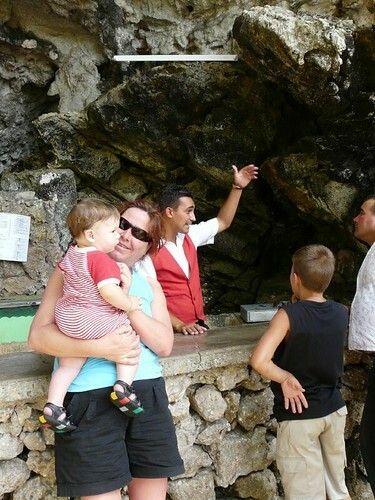 From a huge sea cave entrance the disco music was blasting (The speakers looked like they had been salvaged from a Metallica concert). 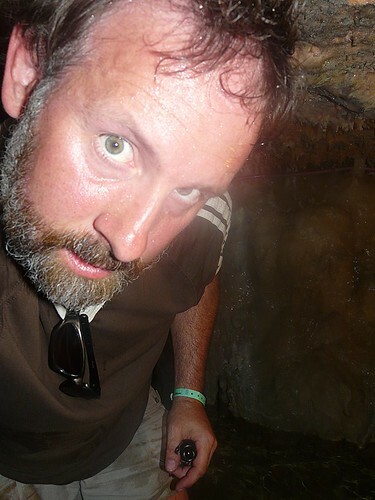 Behind a concrete counter there stood a red-vested waiter (very animated in his conversation with M…) We drank several beers in quick succession and then crawled up behind the bar to see if the tunnels went – they did not. There was no air flow but plenty of corroded stalactites. P1000301, originally uploaded by Mic2006. 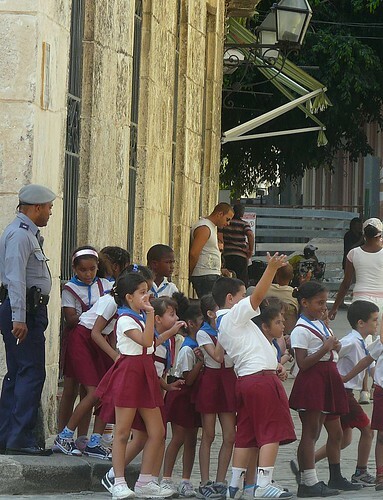 What can I say – Cubans are wonderful people. 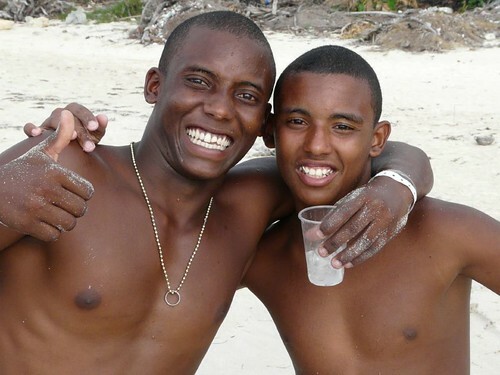 I was wandering along the beach somewhere near Jibacoa and these two young fellows approached me. “Ola Senor”. They just wanted to have their picture taken and to look at my camera. Cubans will drive you anywhere, take you anywhere and help you in any way they can. We stopped a car and asked the guy if he could drive us to Havana for 20 pesos, this he agreed to do but when I tried to give him 30 pesos he refused and insisted that it was only 20 pesos that we had agreed to. Fantastic people!